Paul: Phew! What a week it’s been, eh? Did you catch those sports? The local news about the animal that did the thing? Gee whiz! Or the town gossip about Ol’ Uncle Bobbins and his brand new motor-car? Life sure moves fast these days! Me? Oh, I don’t have much to share. 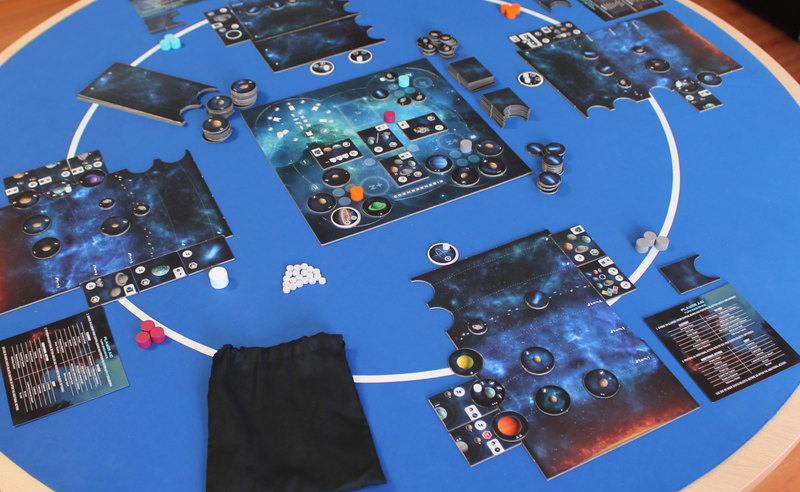 Just this lil wee board game called Cosmogenesis, where you get to be a star. Sometimes people come up with neat new ideas for board games, sometimes you see old ideas given a lacklustre lick of paint and sometimes something knocks you sideways with all the wonderful energy of a bounding St. Bernard. Cosmogenesis is just that, a beautiful, wagging beast of a thing that lets you finally, definitely say “Actually, the world does revolve around me. As do a few more.” It’s time to make your first solar system. How does one make a solar system? Exactly the way you’d expect, earnestly inflating gas giants, making stellar bodies collide and thinking about which worlds might be the best for hosting life. Complete as many planetary and stellar objectives as you can and, well. you get to be the best flaming ball of hydrogen in the Local Bubble (maybe even the Local Group). 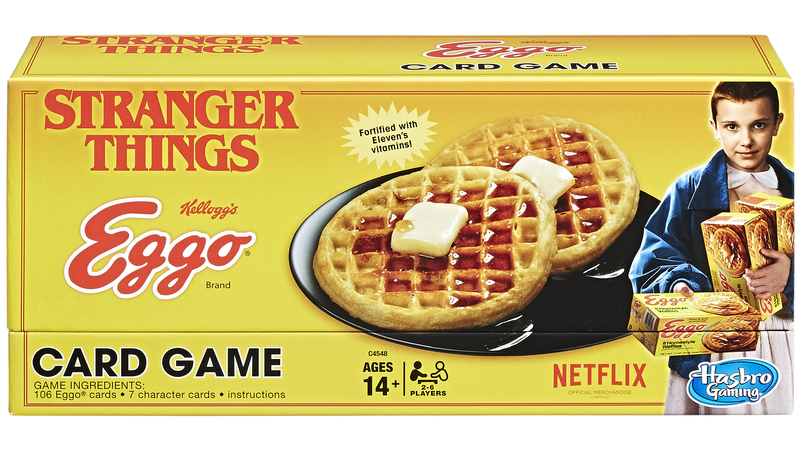 And I am so stoked about this as a clever, original concept for a game. 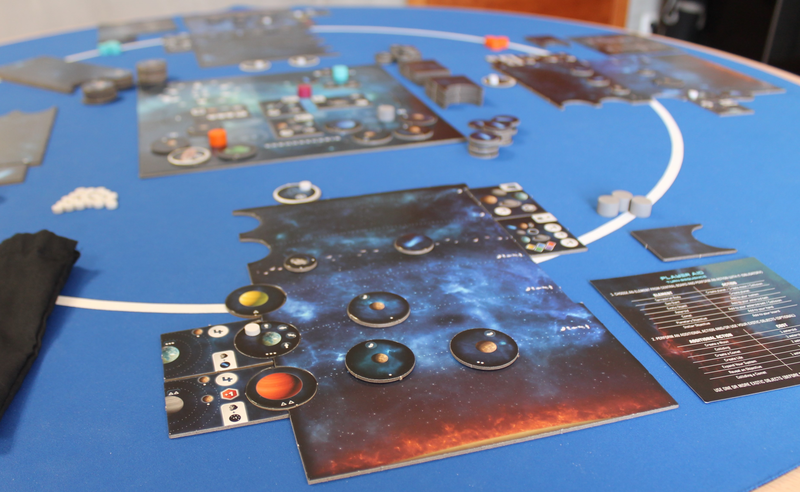 BoardGameGeek have tried a few plays already as part of their ongoing Spiel previews and, while it doesn’t look like everyone’s cup of space tea and they found the rulebook obtuse, I can’t help but still be fascinated by these intricacies. And to think this is from Yves Tourigny, the designer of the charmingly simple Blueprints! 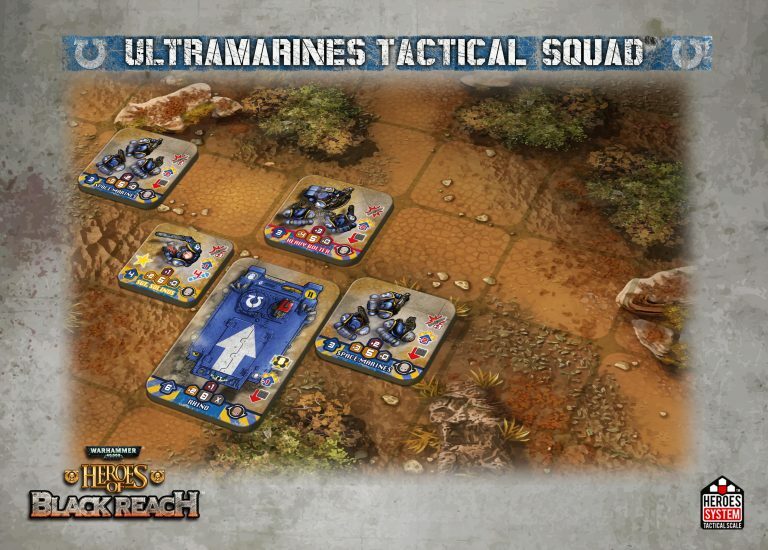 I want to keep us in the cold and cruel vacuum of space for just a bit longer, with Warhammer 40,000: Heroes of Black Reach, the first in a forthcoming two-player series of from Games Workshop and Devil Pig Games. 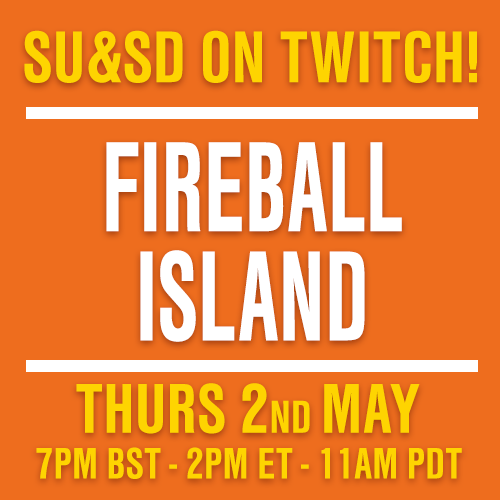 The latter are bringing the same light, speedy combat mechanics they used in Heroes of Normandie, where tactical combat is a mix of dice-rolling and well-timed bluffing. 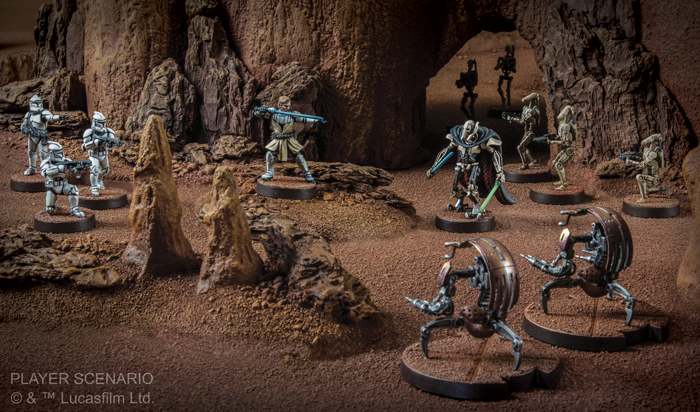 While I’m not usually very excited about the 40K universe, whenever Games Workshop forgoes miniatures and dips its toe into board gaming interesting things tend to happen (this gave me brief flashbacks to the asymmetric and ingenious Battle for Armageddon, for example). Is there even more on the way? Come back to us, GW. Return to our cardboard embrace. 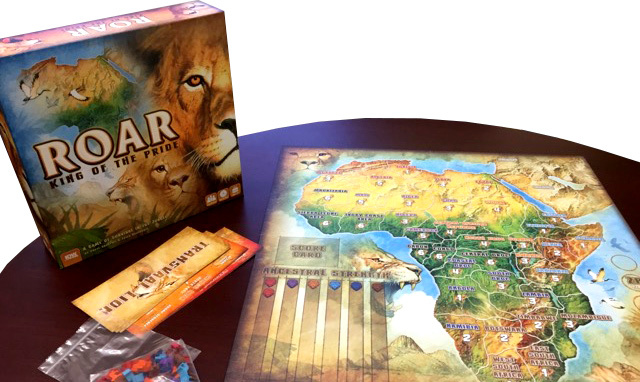 It’s time to take you back down to earth and show you Roar: King of the Pride, a worker placement game WITH LIONS. Lion placement, I guess. A lot of lions. There are over 160 lions in this box. Really. I’m not lion to you. While publisher IDW haven’t yet featured it on their site, they have let PHD games peek inside a box and it’s fascinating. Look, the lions have secret lion objectives! You can have lion babies! Have you ever wanted to have lion babies? Let us know in the comments below. 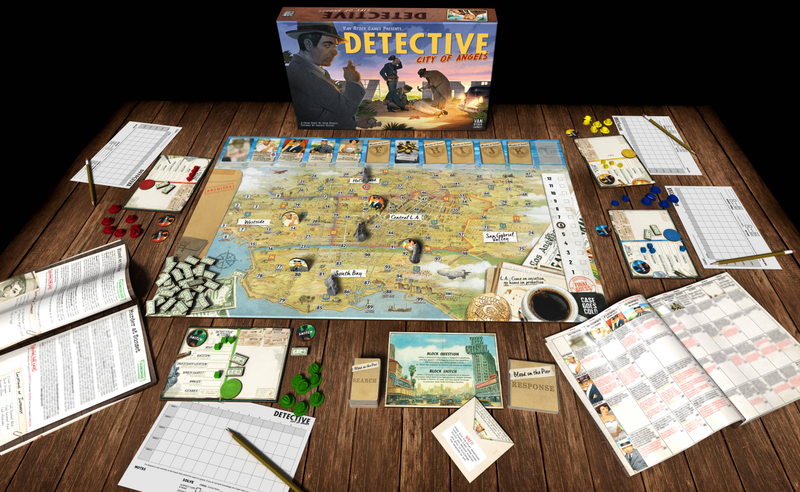 Over on Kickstarter we have the curious and cynical Detective: City of Angels, which is so much more than just a noir spin on our beloved Sherlock Holmes Consulting Detective that first impressions might suggest. Instead of working as a team, you and your fellow investigators can also be hungry rivals, rushing to solve a case first, and there’s a lot more than just clues to be chomped. There are suspects to be interrogated, who may decide to lie to you (partly depending on how the game’s “chisel,” a sort of GM, reckons they’d act), bribes to be paid and evidence to be yoinked. I love the idea of a competitive take on Sherlock, although given the amount of errata there was for Mythos Tales, I hope this has been very, very thoroughly tested. Also chasing crowdfunding dollars like a puppy pursuing a postal worker is Heavy Metal Thunder Mouse, the rodent-playing game you never knew you needed. If you ever wanted to be a mouse on a motorbike, fuelled by the FATE roleplaying system, now’s your chance. Is this the polar opposite to Mouse Guard? Probably, yes. The chance to play a metal-loving biker mouse immediately has me trying out possible character names. Fuzzy Osbourne? Rodent Rhodes? Gene Squeakmons? These are all really bad and I’m very sorry. Since we’ve drifted in the realm of RPGs, let me windmill my arms frantically toward the latest shockingly generous Humble Bundle, which is offering hundreds of dollars worth of Pathfinder books for, depending on the tier you choose, the price of a round of coffee, a cup of coffee, a cup of bad coffee or a box of paper cups. The charity proceeds go to Cystic Fibrosis research. Pretty soon a man is going to come into my apartment and paint my bathroom ceiling (don’t ask), but I have time just enough time to transform into the human signpost that simultaneously links you to the entire rules for Grant Howitt’s Honey Heist printed on a t-shirt, the announcement of a Stranger Things card game (details are scant, it might be good, don’t hold your breath, though you never know) and the ridiculous news that there may be a Settlers of Catan film. The latter comes from the producer of Air Force One, so hopefully there’ll be a scene where Harrison Ford beats up the thief. Finally, let me leave you with More Games Please, a wonderful discovery this week. Ross Connell (who just happened to swing by SHUX) interviews board game artists, asking them about their histories, their inspiration and their creative processes. I love hearing about how artists work and how they’re able to create the things that they do, so this is a delight for me. My favourite so far is the French artist who now lives in Iceland and who wanted to be a cat when she grew up.